The objective of this lab is to illustrate gate reduction through several means, including commercially available LogicAid ® and the use of Quine-McClusky reduction. 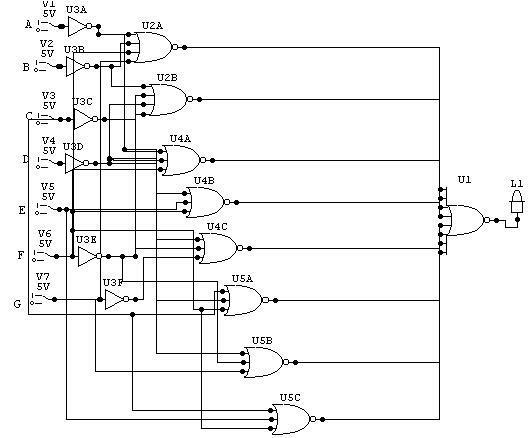 Ultimately obtaining a lowest gate set comprising only of NAND gates and 1 inverter chip. Then to test the final results to see if the correct truth table is created. 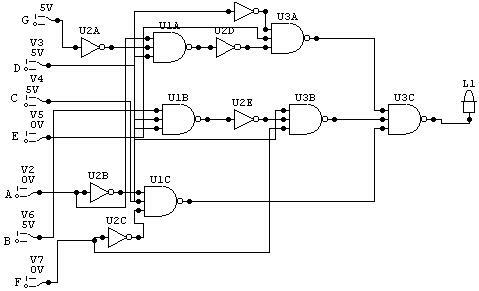 Lastly, to re-implement the same circuit using NOR gates. 2)	Using various techniques, simplify the system to use as few chips as possible. 3)	Simulate the circuit on CircuitMaker. 4)	Derive a a NOR-gate implementation of the same circuit. 5)	Simulate that circuit on CircuitMaker.